Can be made on stretch bands 5/8", so there is no tie back at the back of the dress. It will give it a clean look at the back of the dress. 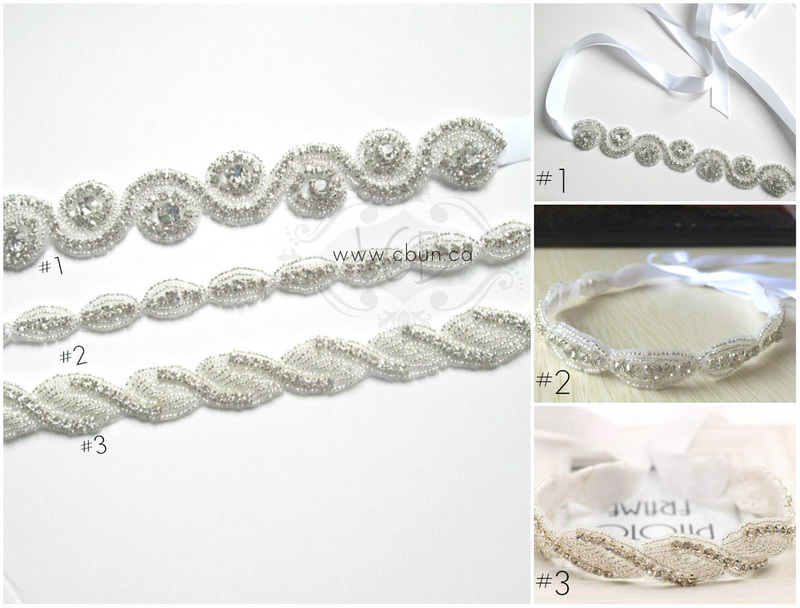 Tie back ribbons can be made on 5/8" or 1.5" Satin ribbon. Please contact us to order.